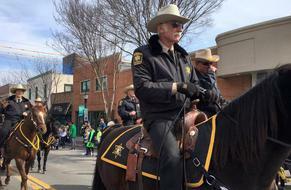 Silvertooth Stables is happy to be the official boarding stable for the Jackson County Sheriff's Mounted Posse (JCSMP). ​The members consist of volunteers serving the citizens of Jackson County, Missouri at the pleasure of the Jackson County Sheriff. 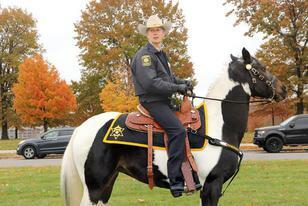 Under the auspices of the Sheriff's office it is a Para-military equestrian organization, there is a chain-of-command. The members are all volunteers. Delivering to the Sheriff's office assistance without compensation from the taxpayers. Many, but not all members are mounted on horseback with training to assist in areas inaccessible by car or on foot.